Faculty and department meetings can be a drag when it's a sit-and-get experience. That's why I made a commitment last year to integrate technology in ways that enhance the exchange of information during our meetings. Here are a few of the things I've tried and a couple I'll use in the future. Sometimes the best way to collect data is through an open response like a five-word summary. 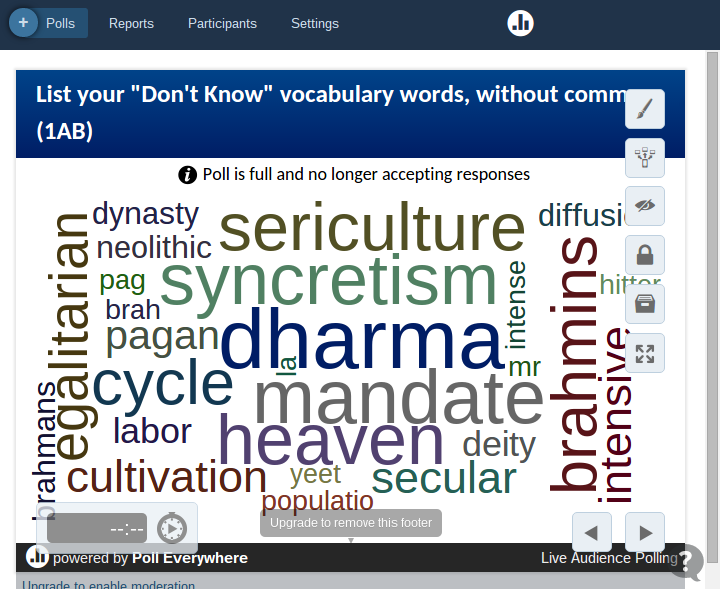 Use Poll Everywhere to collect the words and set the presentation view to word cloud. I use this for vocabulary discussion, and it's great because it's novel and it gives you a starting point based on the groups priorities. The example below was from a world history discussion. 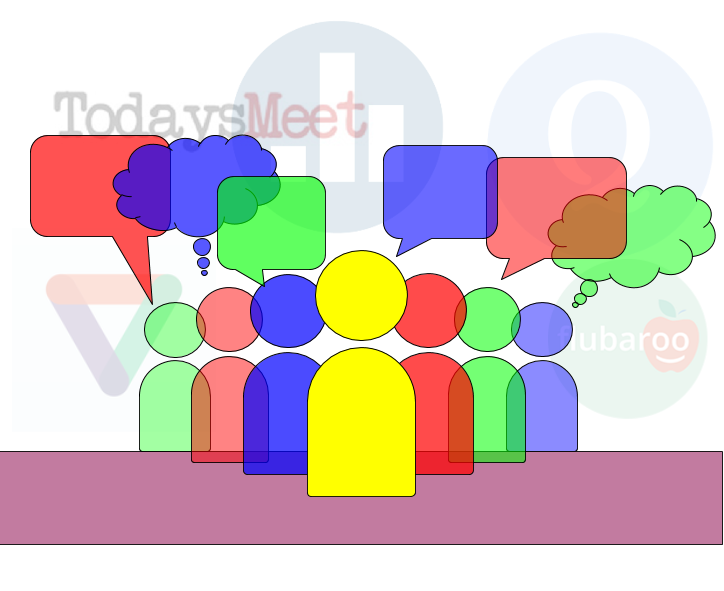 How many times have you been in a faculty meeting and the atmosphere is thick with silent opinions? What if some of those points of view were typed and anonymous? Sure, certain topics are inappropriate for this type of collection. For short summaries or back channel questions and comments, Today's Meet is perfect. Do you want to know what people really think? Do you want to hear from those who don't speak up? 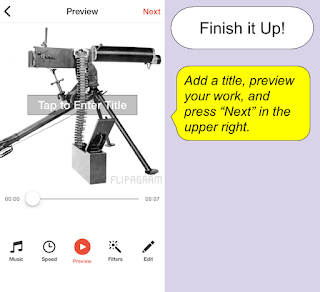 Verso App provides an opportunity for users to focus on only the ideas. It allows all of the identity issues and baggage to remain mute in these conversations. It's always interesting to see the reactions from my colleagues when I show them the level of discussions kids experience with this app. Instead of conducting a meeting to tell my department about a new policy, I broke up the beliefs and practices into a card deck. They took a quiz and we discussed the data on Quizlet based the frequency of incorrect responses. This approach did three things. My teachers experienced learning at their own pace, they learned a new tool, and we only discussed the group's most troublesome areas. It also modeled for them the things we want to see in classrooms. 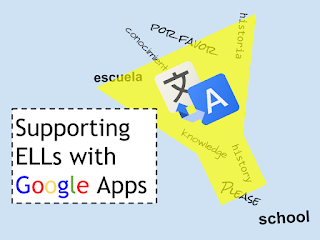 This one is a little more advanced, but easy to learn because it walks you through the steps once the add-on is in your Google Sheets app (browser only). From start to finish, this process can take two minutes if the form is already made. 2. 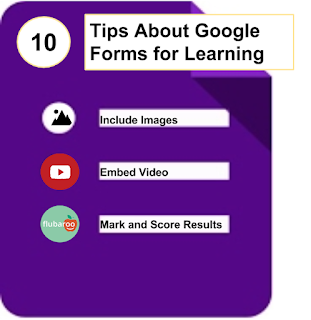 Add Flubaroo to the Google Sheet that contains the form's responses. 3. Walk through provides steps. 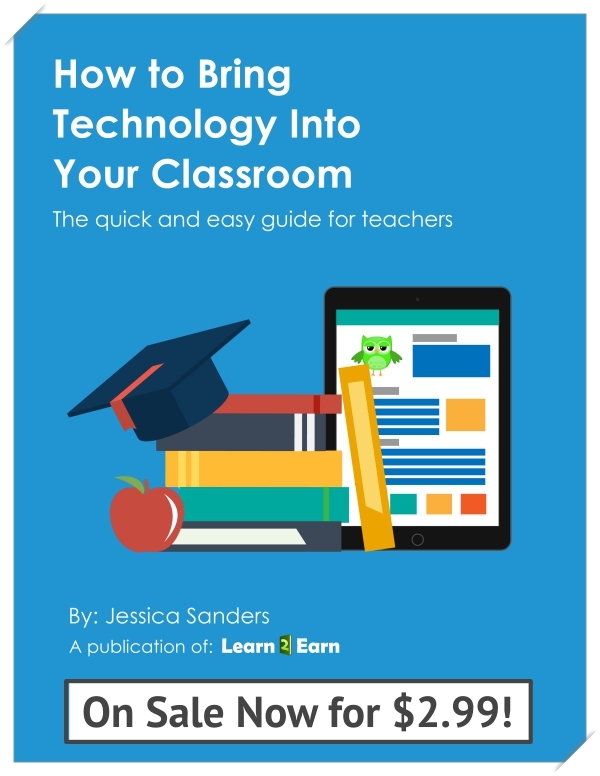 We could think of so many more ways to use technology for staff development, so here are a few to start. How have you used digital technology for staff development? Kids like knowing what to expect, and they want to be self sufficient. 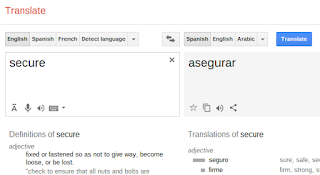 Well, at least that's how I translate the 20 questions I usually have to answer about what we're doing on any given day. There's no magic app for that. 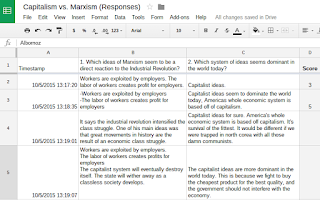 With Google Classroom, my students are asking clarifying questions with more substance. 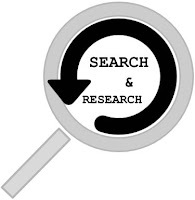 They know roughly what we are doing and are expected to reference certain resources or tasks when asking questions. And this routine becomes easier and easier to teach the more students are familiar with Classroom. I don't suggest that teachers push a tool on a colleague. That would foster ill relations and set up the conditions for poor learning. But we have to be ready for the question, "Why should I use Google Classroom?" 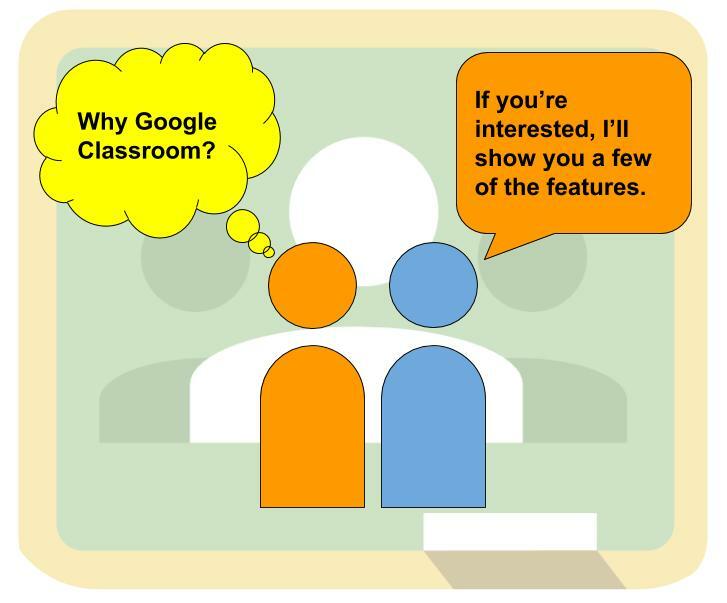 Here are some reasons your neighbor, colleague, or whoever you work with should use Google Classroom. The purpose of Classroom is to share content, communicate expectations, recieve student work, and provide feedback. 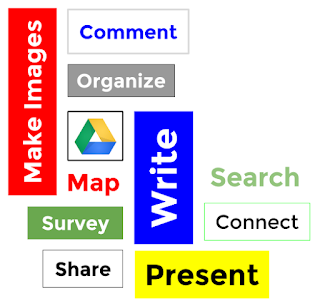 Classroom solved the problem many educators faced when they started using Google Drive with their students. How do we share work and provide feedback efficiently? The ability to email an entire class with a few clicks is crucial for the 21st Century educator. 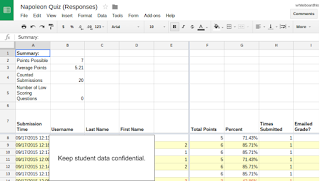 What's more, the ability to email students who didn't turn in their assignment is pre-sorted. Tell your colleague to try it and see. Sometimes we just need a quick check for understanding, an exit ticket, or have a silent discussion. The question tool does this in Classroom. Post a link to a Drive folder in which students can add their docs. As they work, you can monitor their progress. This may be a bit advanced for some of your colleagues, but it's a concept that 21st Century educators should try a few times a year. You've probably thought something like, "If only Sarah could get this paper right when I'm finished writing these comments. She'd have it ready in the morning and be all caught up." Classroom gives you the option to return work digitally with one click. 7. "Because Everyone is Doin It!" This is not a good reason to do anything, yet let's consider how easy it will be to manage if most of the students' other teachers are using Google Classroom. Forget about logging into your computer to update an assignment. 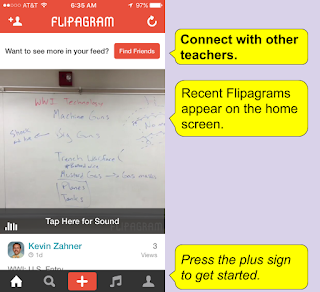 The Classroom app works well and the browser version works almost as well on mobile devices. It's not another thing that needs to be checked. We all use email at this point, right? 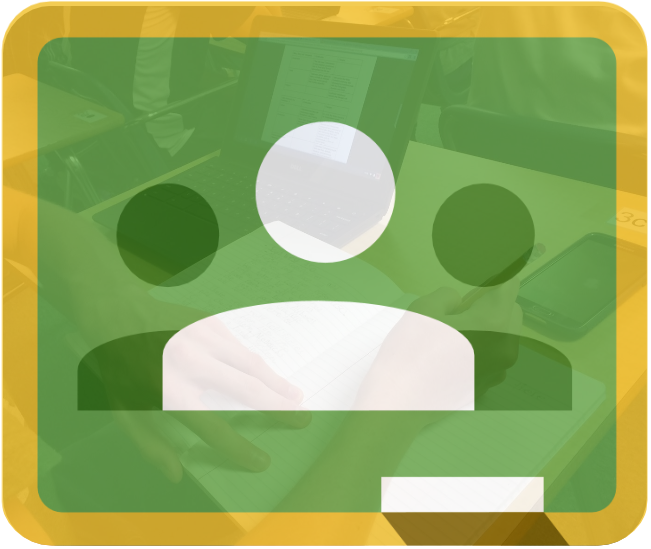 Classroom will send email notifications when a student posts a question to the stream, and students recieve an email when the teacher posts a new assignment or announcement. This year was my first with a co-teacher. When he was apprehensive about using classroom, I sent him an invite be a co-teacher and he caught on immediately. Your colleague may only need a little direct support. Her eyes welled and my heart broke. Just the mention of the word can set off test anxiety for some of my students. This time, the save came in the form of a compromise through technology. She agreed to review the vocabulary on Quizlet and take a practice test. The next morning, she couldn't wait to tell me how well she did on her practice quiz. I checked out the practice tracking, and her classroom experience that day was everything you could want from a teenager struggling with a fleeting self-esteem – the kind that turns the world dark every chance it gets. I have always loved Quizlet. 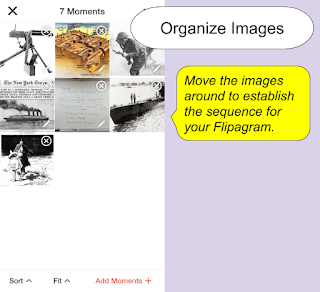 It's great for printing card sorts, quizzes, and digital study aids. I've even used it in lieu of a slide presentation. 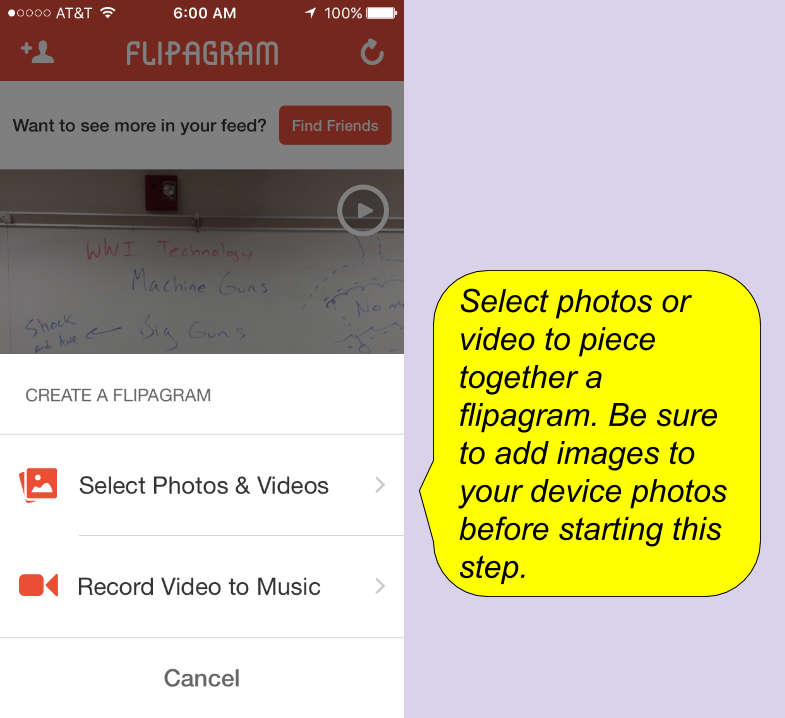 The app works great on all devices, and it's easy to share decks, folders, and track progress in classes. Then, I discovered that you can record your own voice for 30 seconds each card. Making videos has been the way to flip classes for many years now, but this is much quicker. 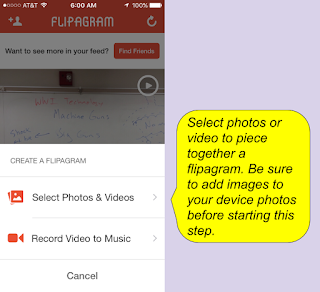 Plus, try making a quiz automatically from a video or a card sort. 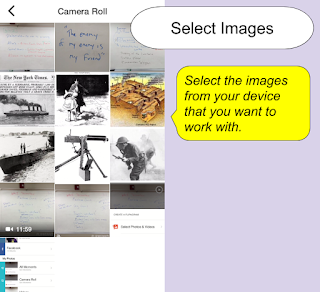 You can make a deck from scratch or search Quizlet for one that meets your needs. I often search first because there's usually something that may only need a few taken away or a few added to be complete. 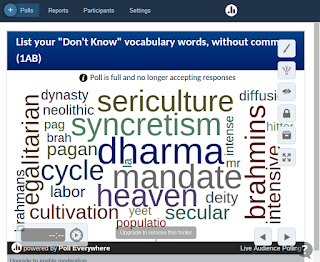 Take your old vocabulary lists or quizzes and import the terms. It saves time, and the site guides you through the process by design. Here's another time saver. Once you've spent the 15 seconds it takes to import your list of terms, click the auto define search icon on the far right to select a definition that works for your students. You can still edit the one you choose, and make sure the languages are set for the term and definition. 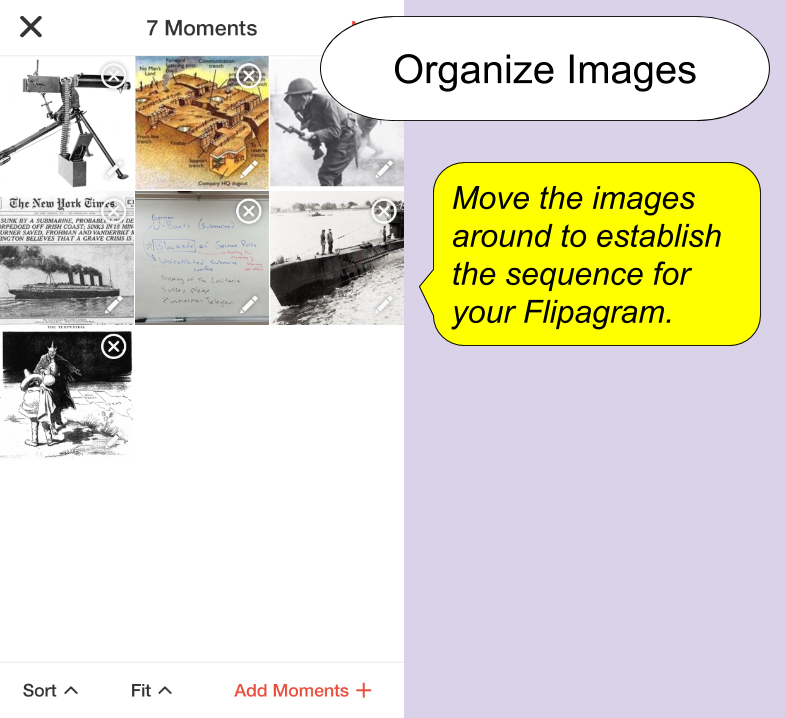 The image option is great in the classroom and for homework. Sometines I use the deck in lieu of a slide presentation because the images switch to full screen when you click on them. 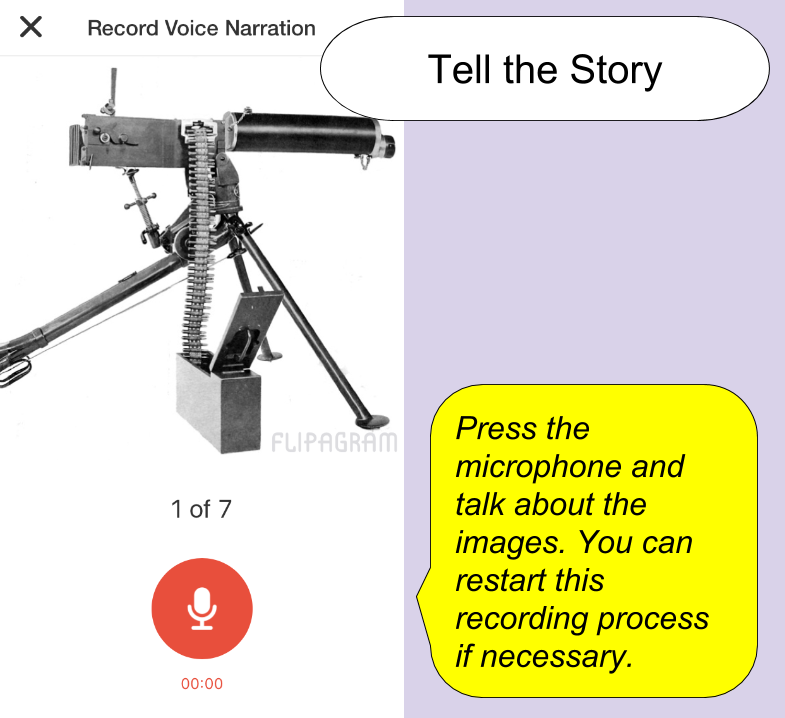 The text can be read automatically by a programmed voice. You can also record your own voice up to 30 seconds. 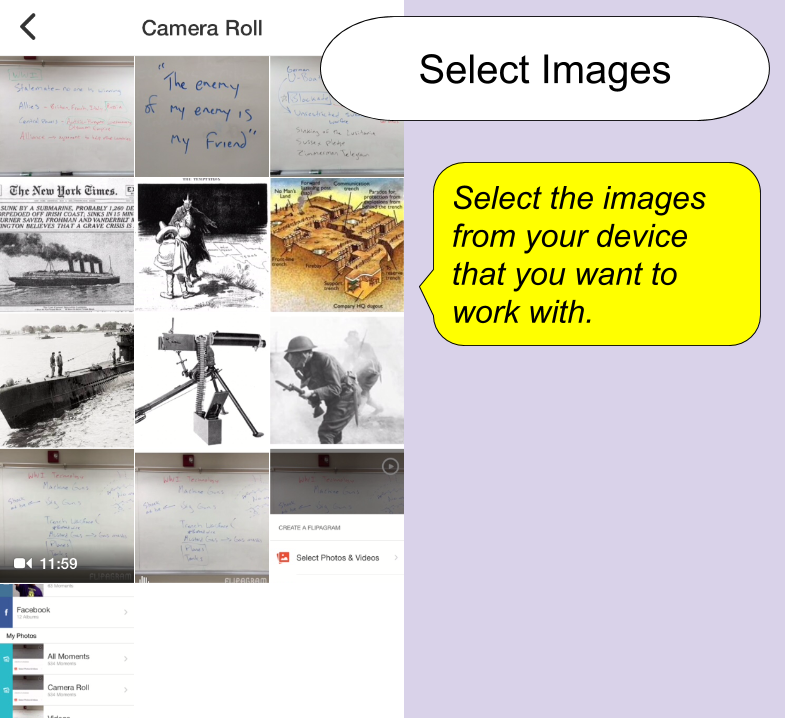 I like this feature because it gives me the ability to remind students about the context of the word they are learning. The possibilities with this feature are very exciting. It's not complicated. Play with it. 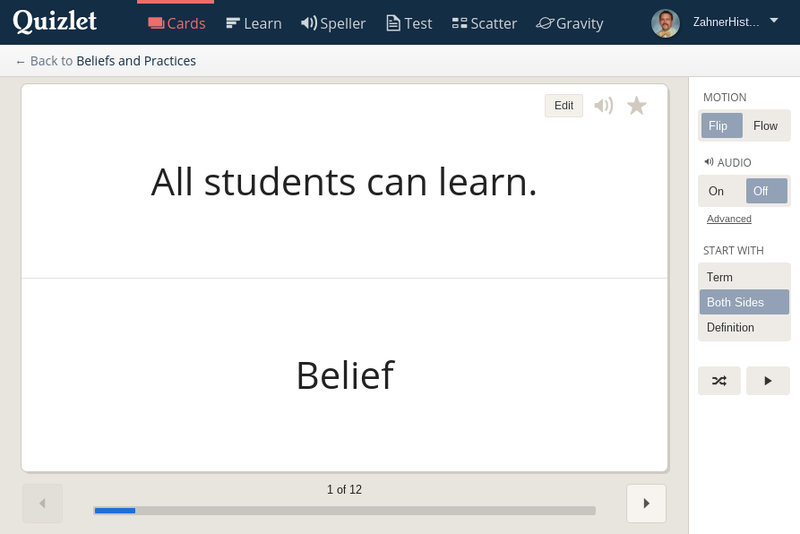 Quizlet let's you share directly to social media, Google Classroom, a Quizlet folder, or class on Quizlet. I use the classes and folders because the users will know where to find the decks. This is the best. 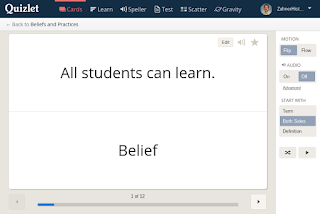 When students practice on Quizlet, the data is tracked for each student, game, and individual term. I often start a class with a review of the class summary. 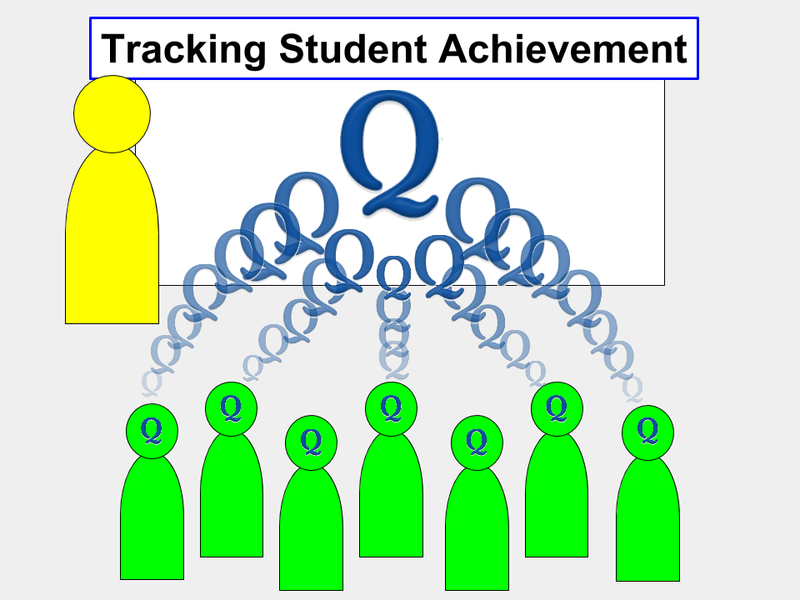 The terms are grouped and listed by achievement. Think about what this can do for learners who need to develop a sense of priority. It's great immediate feedback. Who has time to make a video for each lesson? For most flipped classrooms, it takes about three years to make all of the videos you'll need. That was true until I started using Flipagram. Okay, it's not the best quality, but I can make a video with images and voice narration with my phone. From the time I choose the images and record the narration to the upload directly to YouTube, a 5 to 10 minute video takes 15 minutes. 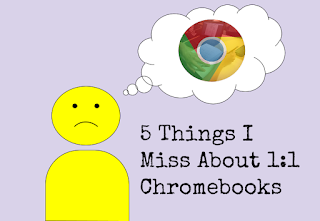 It's been three years since teaching sheltered English language learners, and I often think about how different the experience would be with the digital tools I currently use. Fortunately, I had the opportunity to tutor an ELL over the summer and got to try some things. Here's our process that ultimately helped him to move beyond his affective filter. One of the things teachers do best is collecting evidence. We survey students about their knowledge and use the results to provide feedback to students as well as make adjustments to instruction. 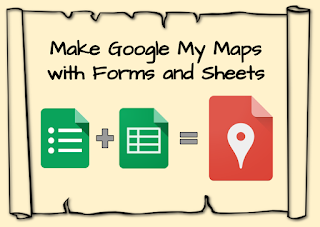 Google Forms is a great way to do this efficiently. Here are 10 things to consider. Before you get discouraged by the labor involved in transferring your questions from a perfectly good document format, consider this trick. Copy all of the answer choices at once and paste them into the first "option." You'll find that the hard breaks are acknowledged and Forms will separate them automatically. 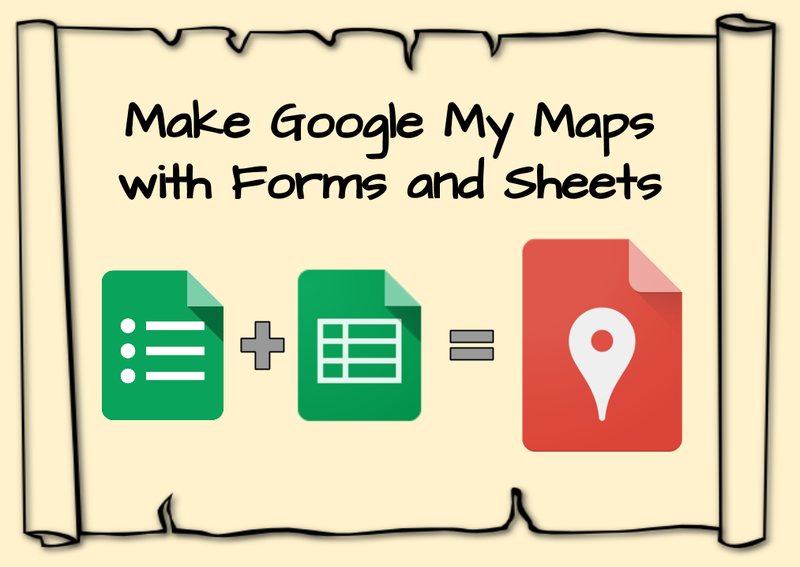 Why shuffle through papers or bring stacks home when you can grade student work on Google Sheets? This tool is great for reflection. 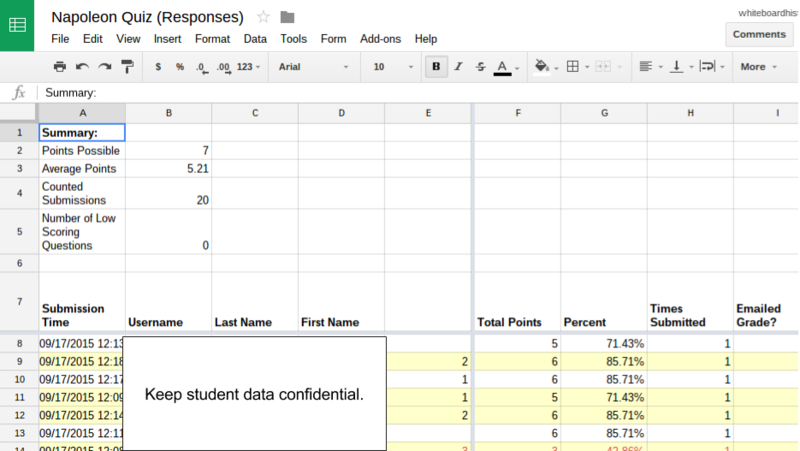 A simple question to gather data about student confidence can give you insight into the emotional experience of your students. Need to sort a long list of attributes among a few categories? I often use the grid item for identifying cause and effect, fact and opinion, or making rubrics. Use the checklist item for collect data for lab reports or characteristics of landforms, to name a couple. This would provide data to analyze for similarities and differences. Part of the exercise may be to have students make their own checklist based on a bit research and some predictions. Add an image to the form. 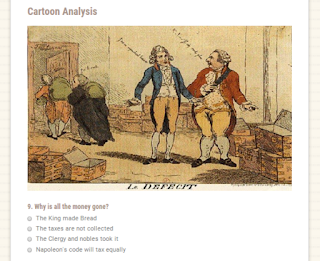 Follow it up with questions that guide analysis. The debrief could include projecting the results (in sheets) on the screen. 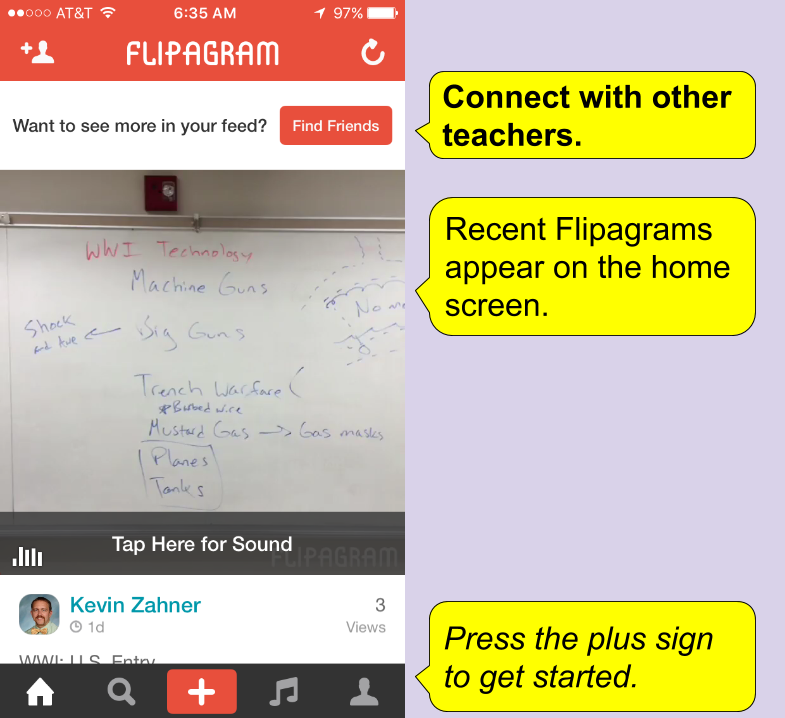 Flipping your classroom? 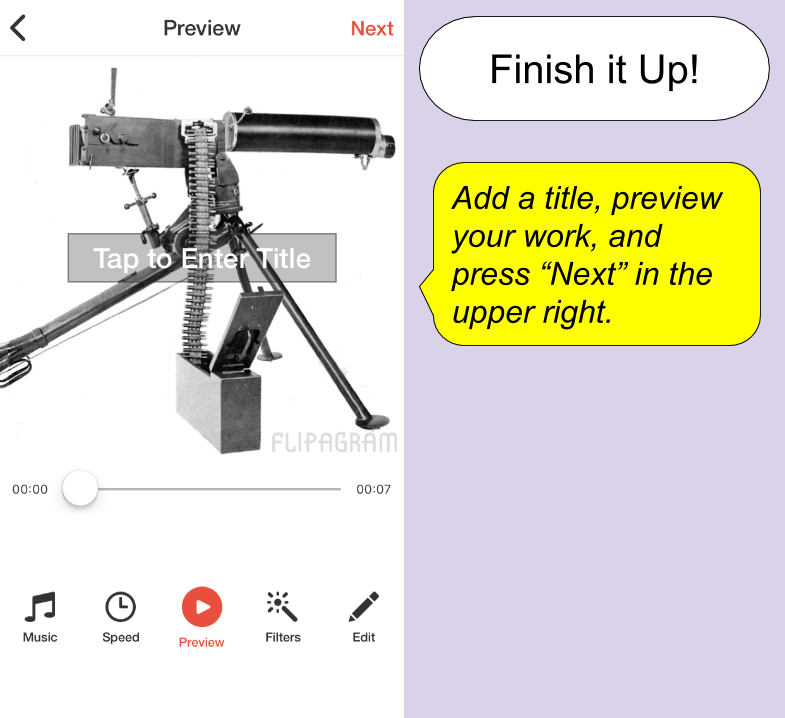 Forms is a great way to gather responses to video guide questions. 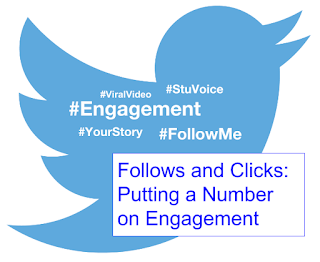 The video can be embedded in the form as easy as an image. 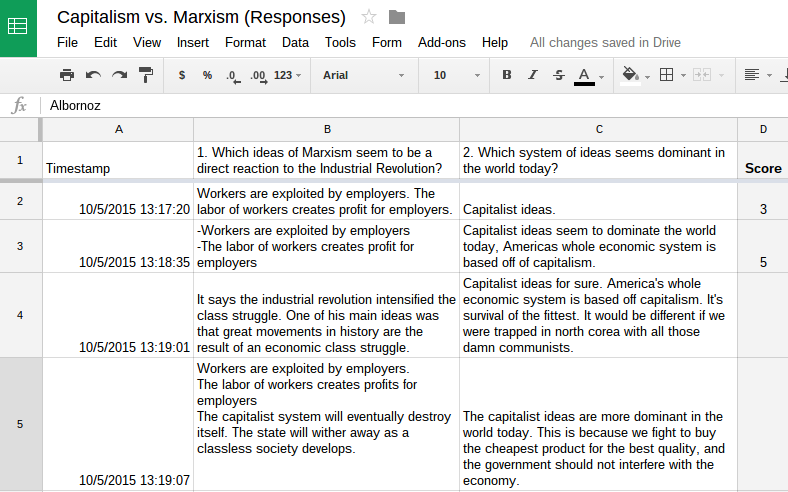 I've tried several ways to quickly collect student responses. 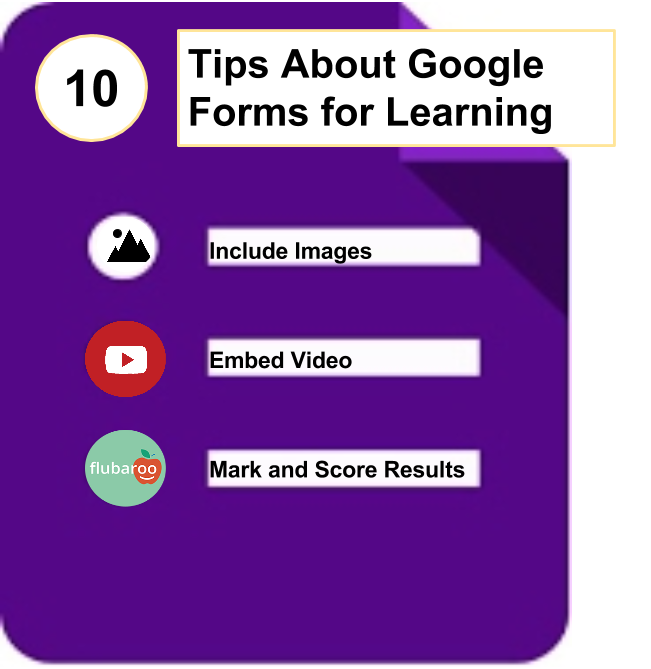 Forms is the best way, and Flubaroo is a great add on to Sheets that will grade the responses. The steps are few and simple. Try it out. I like to add an image to the header. It gets us all mentally prepared to address the topics. It's impossible to learn without asking questions. Use Forms to collect your students' thought process so the inquiry can be accessed for instruction. Once you and your students get comfortable with this, an entire unit could be guided by student questions. In other words, they will come up with the pattern instead taking a handout from the teacher. 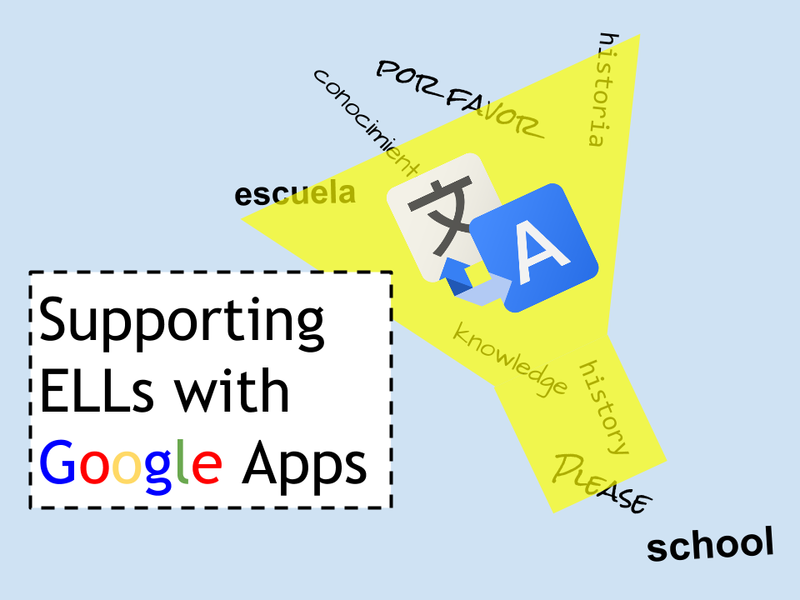 The school year is starting off more and more smoothly as my new groups of kids are more acclimated to apps for learning like Google Classroom. It's also nice to think about not having to learn an entire new platform – only the updates and added features. Here are some routines we use in our Google Classroom. Maybe save the three-page narrative for blogger, but Classroom is a great place to write lesson plans for a student audience. I write one post per week to avoid clutter on the stream and include essential questions, activities, materials, and homework assignments. 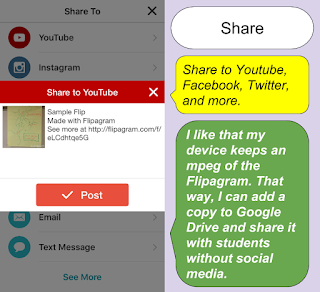 Students can make comments on the stream. This is awesome because if they have a question, I get an email when the stream post is made, which means I can respond in a timely manner. 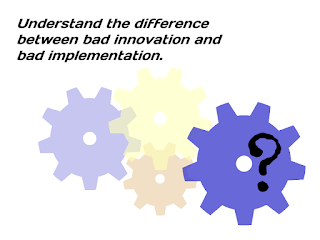 The other benefit is that sometimes students have the same question and can see that it was asked and perhaps a response has already been posted. 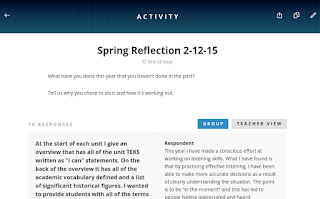 It's important to be able to manage student responses and provide feedback in a timely manner. 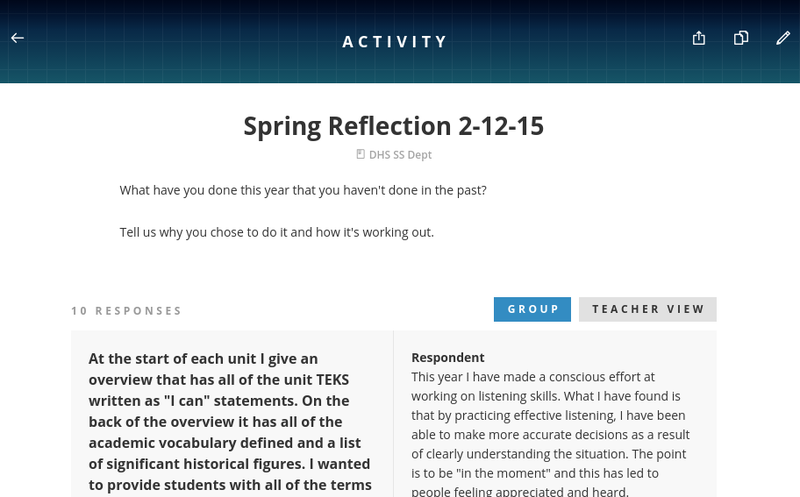 The Question tool is quick to use and allows teachers to comment and assign a score to each post. 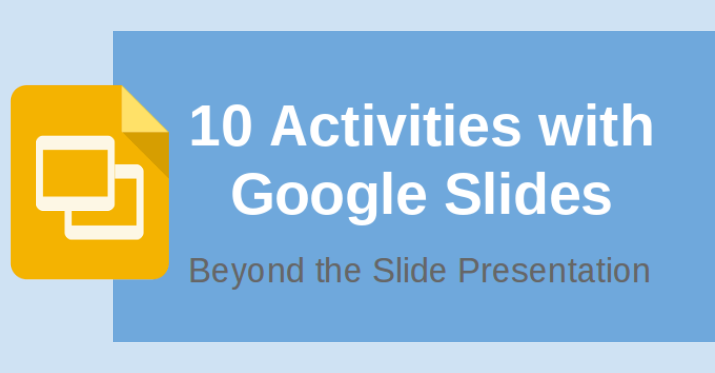 Providing the slides or notes can be very powerful. 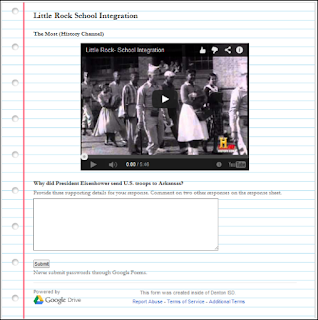 It's a great way to teach note taking skills like restatement and labeling groupings of details or ideas. Sometimes we take our work elsewhere to take in a new environment. 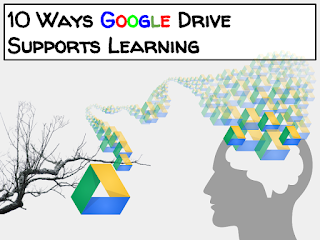 One of the easiest ways to share documents among students or from the crowd to one place is a Google Drive folder. 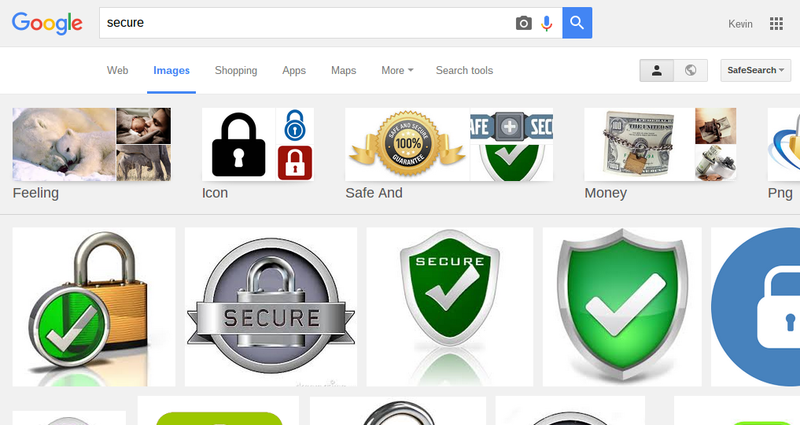 Set the permissions to "anyone with link the can edit," and you can receive rich content like images. Click the images and Drive will provide a slideshow. Who needs PowerPoint, right? It's not the neatest way to do it, but it's quick and easy. Right click and print the stream. It will PDF or print whatever is loaded. I usually highlight the important parts and make notes to help the substitute understand the expectations. Why share video after videos on the stream. Share a YouTube playlist in the "About" tab via link. I usually make a playlist for each unit. Why share each deck separately on the stream? It clutters and causes confusion. Put a link to a Quizlet deck folder in the "About" tab. 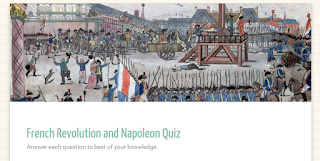 Now, students know exactly where to go to practice vocabulary and background information. This one is self explanatory. Sure, I would prefer to send short messages through Remind, but Classroom sets me up to quickly email a group of students with a similar issue like missing work, for example. What's more important? That the teacher does everything "right," or that the students master the curriculum goals? We're past the getting-to-know-you stage of the school year, and teachers are already writing their evaluation goals and self assessments. That's why I think it's time for me to be very clear about what I expect from myself professionally. Although I'm in a new school, in a new state, I won't let go of what I learned working in Denton, Texas. The most important of which was that it's about what the students are learning. Sure, the teacher's tasks play a crucial role, but it only matters if the students understand the expectations and are motivated to learn. We are often trying to figure out new ways to motivate students, and Dan Pink's autonomy, mastery, and purpose are widely accepted as the defining conditions. But the question still remains: How can we measure motivation? I don't propose that the following questions measure motivation, but I think that they can measure our progress toward setting up the conditions for students to be motivated. Furthermore, students need to become self motivated. For this, a thinking routine is necessary to establish a culture of learning that allows students to develop intrinsic motivation. 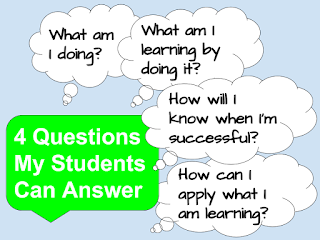 Here are four questions that I have restated from my experience collecting data on what students are learning. They were originally designed by Look2Learning and rephrased from the student's point of view. No matter how many times we explain the expectations, there's always a student who needs clarification. Imagine a classroom in which the expectation is for students to be able to communicate what they are doing. Make it routine that they come in and spend time observing and thinking about what it will take to complete a learning task before they ask clarifying questions. Another expectation that can support this one is to have students state one part that they understand about the task before asking a clarifying question. 2. What am I learning by doing it? It's too much to ask learners to complete tasks if they don't know what knowledge they should take from the experiences. Again, like all of these questions, teachers are doing their jobs when students can respond confidently and accurately to these questions. 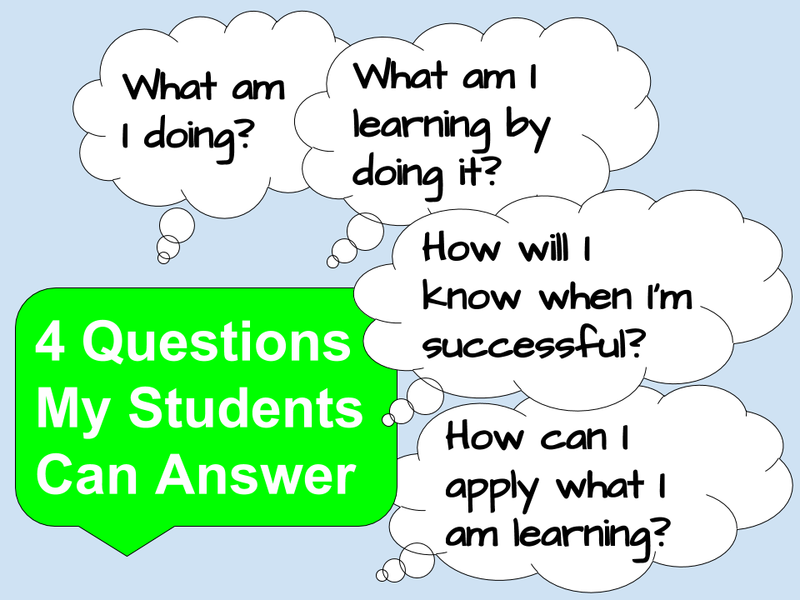 If the teacher is sitting behind his desk, all of the students can answer these questions, and there's a way to collect evidence of learning, the teacher, in my opinion, is doing his job. Whoever said that teachers need to be up and moving all the time was pushing what works for them on the profession – not exactly differentiation, huh? 3. How will I know when I'm successful? This is often what kids are wondering when they ask about what they got on a test, right? Okay, probably a little too idealistic for most students. It's possible, however, that a classroom culture can value specific feedback in lieu of a number or letter that will point to nothing but perhaps a fleeting elation or a detrimental deflation of confidence. Aside from training students to be able to reflect on this question, rubrics and clear expectations are a great place to start. The goal is to be able to answer this question before the work is turned in. 4. How can I apply what I am learning? Once students know what they are doing, understand the purpose, and feel confident that they can succeed, it's time for a life lesson. It may seem like there isn't enough time to take curriculum to the world beyond a math textbook, for example, but it's in the transfer of a concept from one context to another that the true value of education is realized. I will work hard to ensure my students can answer these four questions. I will also reflect on the results to make adjustments in instruction to increase achievement. I hope my daughter's teachers do the same.